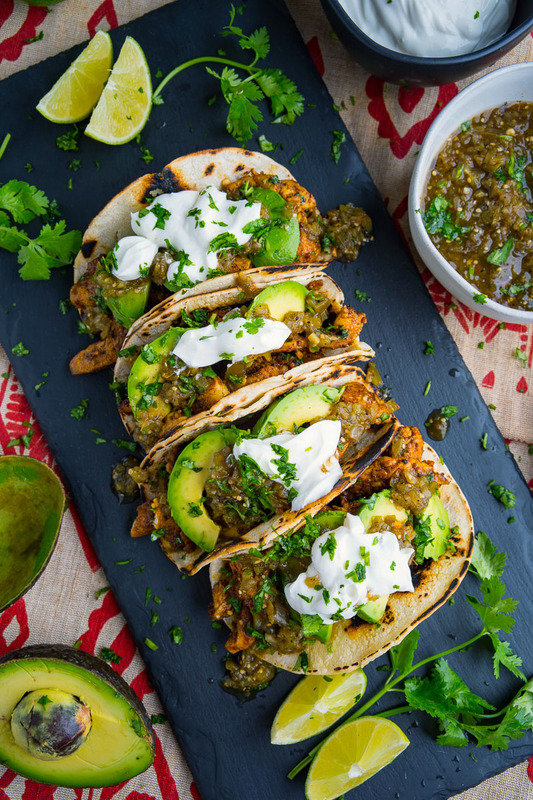 Quick and easy chicken and avocado tacos with salsa verde and sour cream! 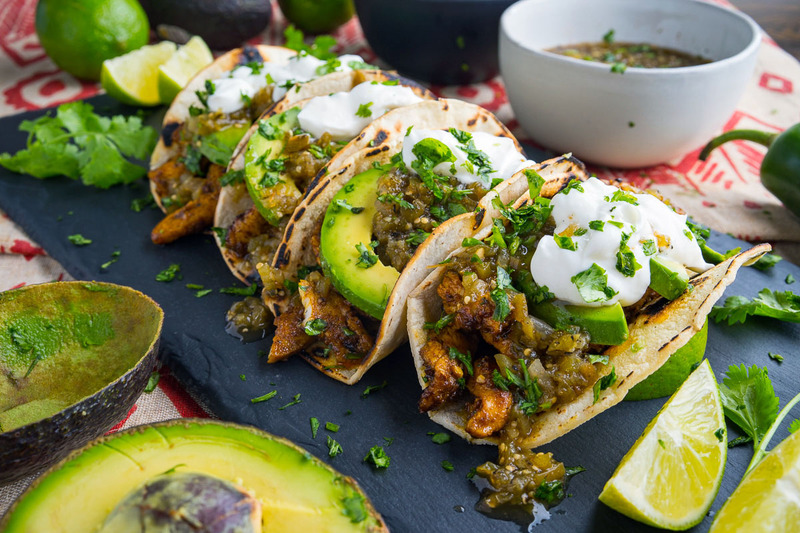 Today (October 4th) is National Taco Day and I am celebrating with these quick and easy chicken and avocado tacos! 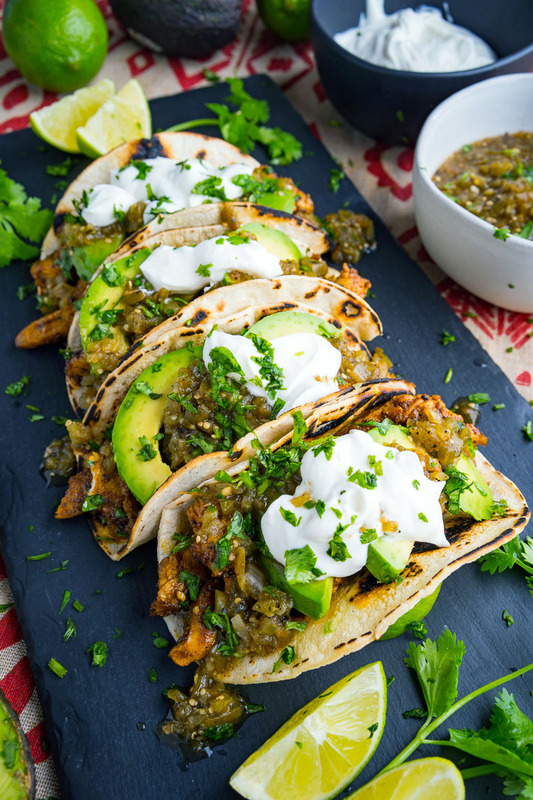 These tacos are so easy to make, consisting of tortillas, chicken, avocado, salsa verde, and sour cream! 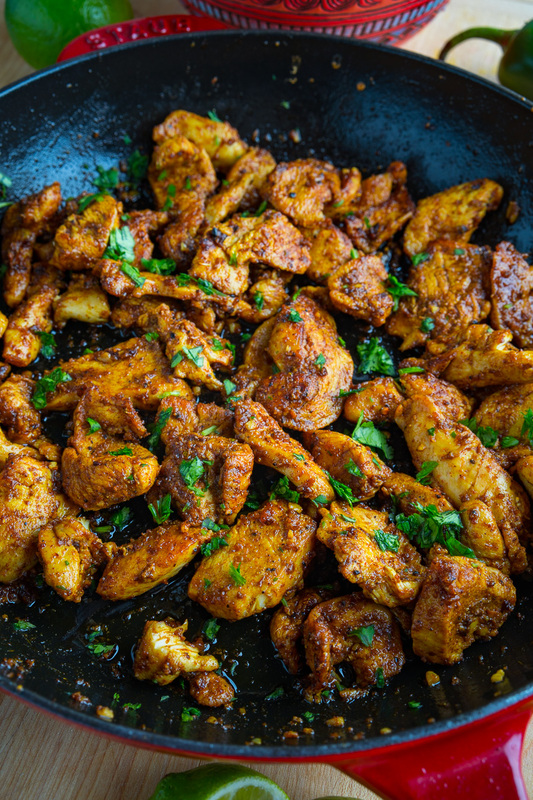 Feel free to use any leftover chicken that you may have on hand or go with boneless and skinless chicken in taco seasoning and quickly cook it in a skillet in some oil. 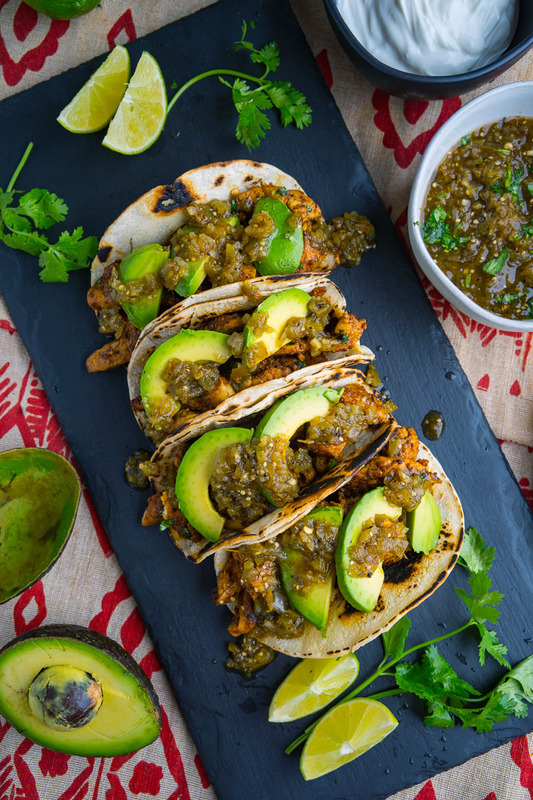 I like the combination of the taco chicken and avocado with salsa verde but you can go with any salsa that you like! Marinate the chicken in the mixture of the oil and taco seasoning for 20 minutes to overnight. Cook the chicken in a skillet over medium-high heat until cooked through and lightly golden brown on all sides. Assemble the tacos, and enjoy! 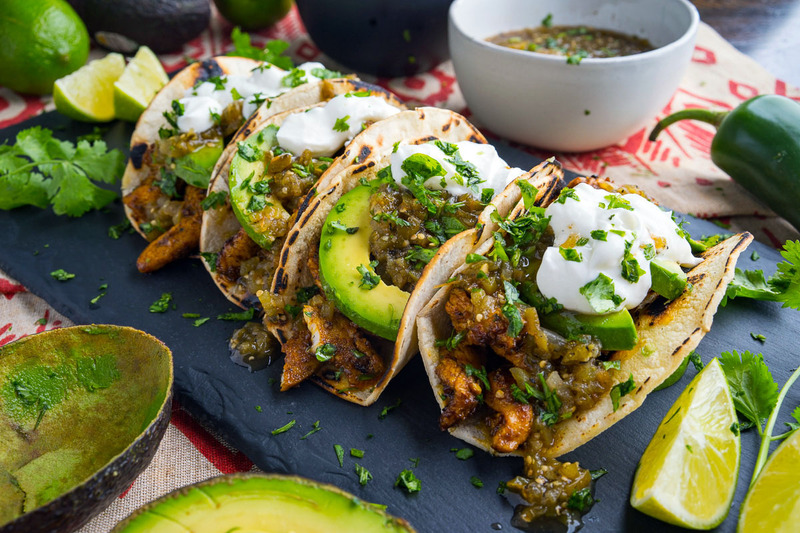 Option: Use leftover skillet chicken verde, taco lime grilled chicken, tequila lime grilled chicken, cilantro lime grilled chicken instead of the taco seasoned chicken. Option: Top with your favourite taco toppings! Option: Make the taco seasoned chicken the day before and reheat before adding to the tacos. We loved these tacos! I didn’t take the time to marinate the chicken but these were still delicious! Used Hatch’s green chile salsa (spicy!) along with your taco seasoning ‘recipe’ and everybody enjoyed them. We set up a quick ‘taco’ buffet so my family could build their own (sour cream, cilantro, avocados, salsa) so everybody ate tacos the way they wanted. No need for cheese. Easy to prepare for a quick weeknight dinner. When it’s a bit warmer outside, I plan on cooking the chicken on the barbecue which will add even more amazing flavor. Thank you Kevin!